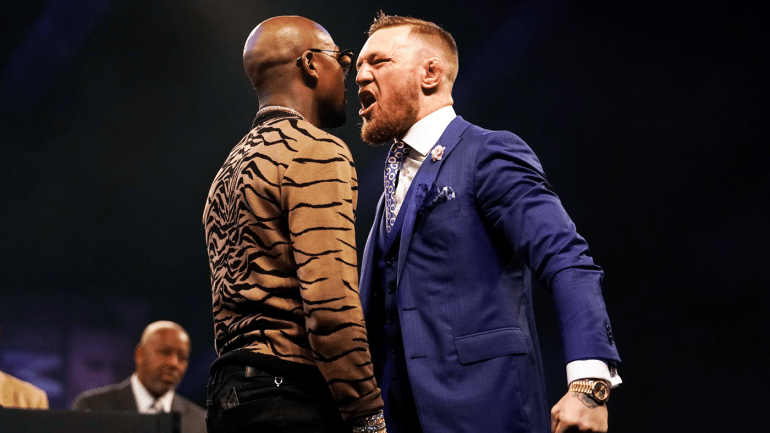 Conor McGregor is squaring off against Floyd “Money” Mayweather as New Theory predicts an upset. Let’s face it, pretty much everyone is predicting that Mayweather will go a perfect 50-0. Although he is the best boxer of this generation, he will lose on Saturday night. The matchup is coming at 154 lbs. Mayweather began his fighting career at 130 lbs, but his average fighting weight has been at an average of 147 pounds. In short, Maywaether is not fighting at his ideal weight. Even McGregor has a size advantage. in terms of height and reach. Conor has a 1-inch height advantage over Mayweather, while a 74” reach puts him two inches ahead of his rival. Mayweather was able to make adjustments during the fight to victory. But Mayweather is also much older now and may not able to quickly adjust to the crushing left hand of McGregor. Both age and inactivity will factor in on a McGregor victory. Conor is in his prime, while Mayweather, although in great shape, is well past his prime. Is he the same fighter he was 12 years ago? Mayweather also has not fought since Sept. 2015, when he beat Andre Berto, then retired with a 49-0 perfect record. I can personally attest that things slow down after 40. There is a difference of overconfidence and plain hubris when it comes to boxing. Mayweather believes he can’t lose and will under compensate as a result. He will fight his fight, but when McGregor street style kicks in, its Mayweathers hubris that will do him in. It’s because he is training for his fight because that’s all he knows and his ego will allow nothing else. You heard it here, New Theory predicts a McGregor win and have at least 4 reasons to back it up.